GarageBand is a comprehensive digital audio workstation (DAW) application that ships with all versions of Apple's Mac OS X operating system. It can record and edit audio and MIDI data in a variety of ways, while being more user-friendly than professional DAW environments; such as Apple's Logic or Avid's Pro Tools. Usually, GarageBand will work automatically with any properly set up and connected MIDI keyboard. However, occasionally users have trouble using their MIDI keyboard with GarageBand. Check the documentation that came with your MIDI keyboard. Drivers or other software often have to be installed on your computer. Different MIDI keyboards will have different associated software. If your keyboard is not of recent manufacture, check the manufacturer's website for updated drivers compatible with your version of OS X. Follow the instructions to install and update all associated software. Connect the MIDI keyboard to your computer. Sometimes, this is done with a USB cable plugged directly into an available USB port. 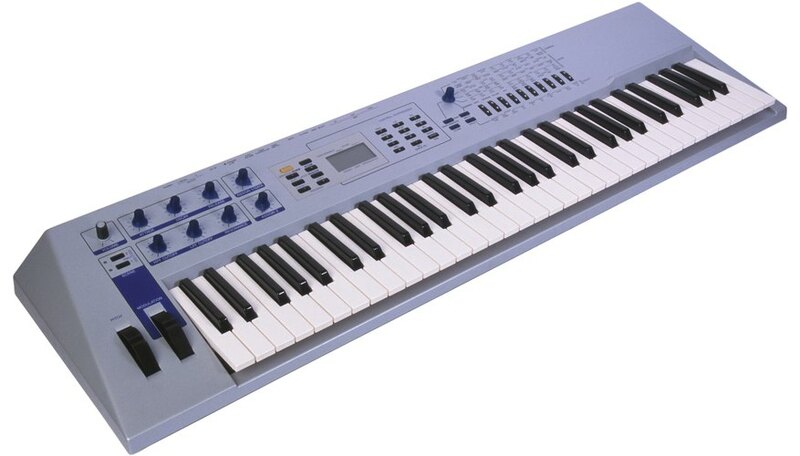 Non-USB keyboards, however, will need a USB MIDI interface. In this case, connect the MIDI OUT port on your keyboard to the MIDI IN port on your interface using a standard MIDI cable, then connect the interface via USB cable to an available USB port. Turn on your MIDI keyboard and, if applicable, your MIDI interface. In OS X, open the Go menu in the Finder's menu bar, and choose "Utilities." A Finder window will appear listing that folder's contents. Double-click the icon labeled "Audio MIDI Setup." From the Audio MIDI Setup application's Window menu, choose "Show MIDI Window" to open the MIDI Studio window. The MIDI Studio window listing all available MIDI devices will appear. Check that your MIDI keyboard is present in the MIDI Studio window. It will be represented by an icon named after your keyboard. If it is not there, consult your keyboard's documentation. It will describe in detail how to register your device in Audio MIDI Setup and create the necessary MIDI IN/OUT devices. Close Audio MIDI Setup, once this is done. Open GarageBand. Its icon is found on the Dock by default. GarageBand's project selection window will appear. Open an already established project, or choose "New Project" from the list of choices on the left. GarageBand's sequencer window will appear. If it is a new project, GarageBand will automatically create a new track and insert a software MIDI instrument on that track. Play your MIDI keyboard. Because GarageBand is designed to be as user-friendly as possible, it will automatically adopt and use any MIDI devices available to your overall system. There is no need to set up your keyboard in GarageBand in any way. You will hear GarageBand play back the notes you press. If your MIDI keyboard has controller knobs or sliders, they will not work with GarageBand. While it is possible to get around this, the method for doing so is best left to advanced users with a comprehensive understanding of MIDI protocol.